EACH’s iconic health centre in Yarra Junction known to the local community as the Purple Church, has been revamped to support an expansion of services and programs, and will be reopening on Wednesday, 5th April 2017 with an open house that will showcase the facilities between 11.30am and 3pm. The historic venue will house a range of programs including: Mental Health Recovery, Financial Counselling, Disability Employment Services, Early Childhood Intervention as well as Drug and Alcohol support. With the provision of significant funding from the Victorian State Government and EACH investing further funds, the extension will support EACH to consolidate its valued service provision. 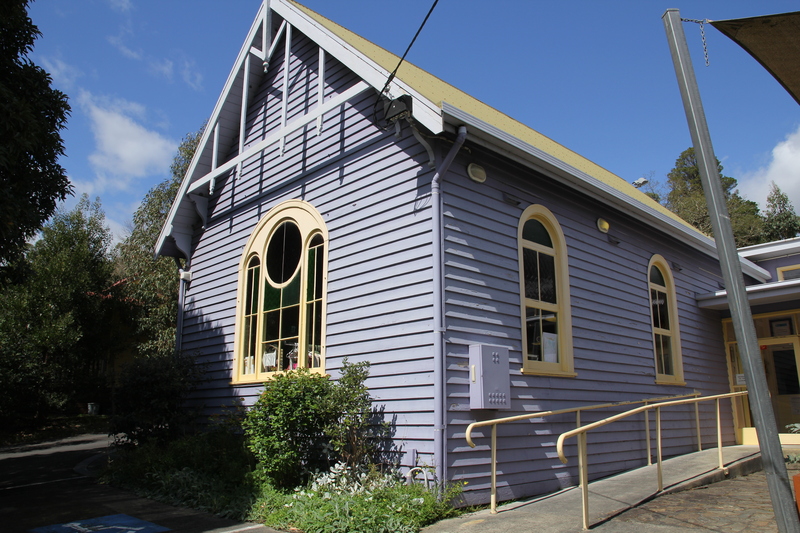 The church was originally constructed in Warburton in the late 1800’s and relocated to the current site circa 1900, becoming the Uniting Church. It was used for church services, and weddings well into the 1980’s. From the late 80’s the site had been used for community health related activities including services by Eastern Health and Anglicare. The development includes a size increase of 260sqm to 420sqm and the design embraces the historical building features. With consolidation of services, the upgrade will simplify access, ensuring that people are connected through an integrated approach. “This redevelopment will deliver a further integrated flagship centre that has deep roots in the Yarra Junction community. The new centre will be a ‘one-stop-shop’ with ready access to a range of services that will increase our outreach into the broader Yarra Valley,” said Peter Ruzyla CEO of EACH. The facility includes new and additional consulting rooms, as well as a large meeting room and an art and activities area that will also be available for community use. The official opening of the centre will be held on Wednesday, 5th April 2017 and we invite the local community to an open house between 11.30am and 3pm.